Sixt Ukraine wishes all of you happy Valentine's Day and gives you a present! You have an opportunity to use an attractive offer and to get a favorable discount. Why is this offer so attractive? 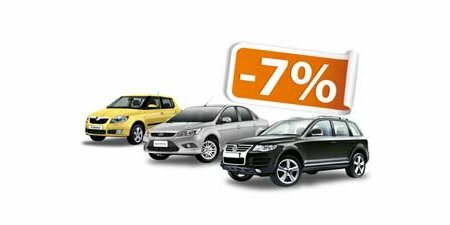 Because all the cars of Sixt Ukraine fleet are at your disposal! SIXT and UkrSibBank - "Plus with us"
We are glad to inform you that SIXT Ukraine joined the program of JSC Ukrsibbank "Plus with us!" 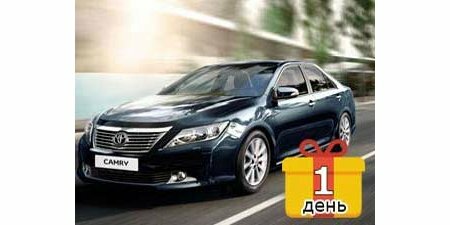 SIXT Ukraine has one more New Year present for you: 1 day of car rental as a gift!!! Don't miss the opportunity to take pleasure of all our advantages! Rent a car for 7 days and more and get one of these days absolutely for free. Are you still waiting for the New Year discounts? New SIXT rental station in Lviv is waiting for you! We are glad to inform you that since November our rental station in Lviv is situated in Kulparkovskaya St., 226 in the car showroom Toyota Lviv Center "Diamant". 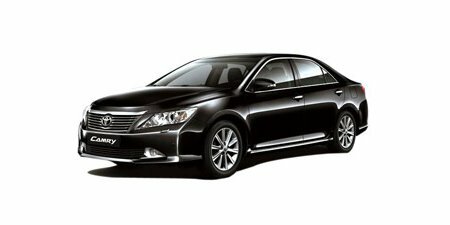 Toyota Camry from 39 Euros per day! Only in November 2014 Toyota Camry in Ukraine from 39 Euro per day!